London: Motivating players for the play-off match to avert the bottom spot in hockey, known as the "wooden spoon" contest, is a big challenge confronting the Indian team management and senior players. 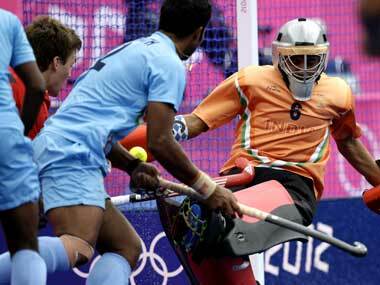 Losing five successive games in the preliminary league, India finished at the bottom of the Pool B with no point. They now face Pool A's last placed team, South Africa in the play-off for the 11th and 12th position on Saturday. 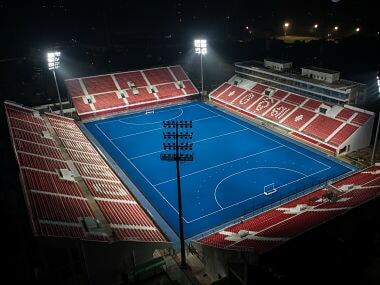 The three-day gap could play a big role in helping soothe the pain of the team representing Olympic hockey's most successful nation and being pushed to the bottom by one reverse after another. But the players will still need to lift themselves for the last outing of these Olympic Games. Coach Michael Nobbs and captain Bharat Chetri are confident that the players will lift themselves and play a good game. "I'm confident the players' morale will be fine. It will not be an issue when the team goes out to play against South Africa," Nobbs told PTI. "The players are surely disappointed at the way things have gone, but they lifted themselves after four defeats to play a decent match against Belgium, even if the scoreline may not convey that impression," the Australian said. "We've been having meetings with the boys. We've told them not to lose heart and try to play well," added Nobbs. Captain Bharat Chetri said the players know that they cannot change what has already happened, but can try and do better in the next outing. "We start fresh every time, everyday is a new day. We speak together as a team and try to forget what has gone," said Chetri. Chetri also felt that India played a decent game against Belgium, but their poor marksmanship in front of the rival goal let them down. Nobbs said the Belgian goalkeeper, Vincent Vanasch was outstanding and thwarted India's chances. "The Belgian goalkeeper played an unbelievable game," he said. 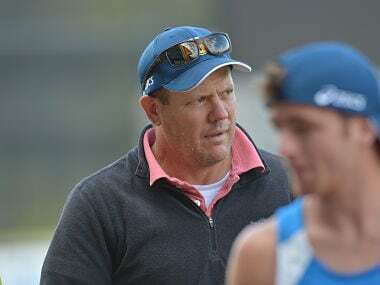 Belgium's coach and former Australian player, Colin Batch said the scoreline did not convey the essence of the contest between his team and India. "India did come close to scoring many times. Those who did not watch the match will see the 3-0 scoreline as an easy win, but it was not the case," said Batch. "In the end it is about consistency in the attacking circle and scoring." This was Belgium's first victory over India from four matches in the Olympic Games. In 51 head-to-head international matchhes between these two teams, this is Belgium's sixth victory and the second in successive encounters. The last time these two teams came face to face was in the final of the Champions Challenge in Johannesburg last year, when Belgium's victory earned them direct qualification for the Champions Trophy. "We're very pleased to have won the Champions Challenge although we did not play very well in that tournament," Batch said. "Since then, there have been some three or four changes in the team that had added depth to the squad."